Butternut squash is known for its mild flavor. 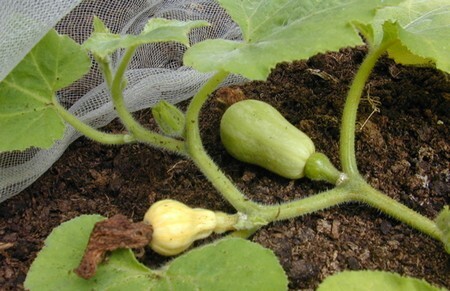 Even if you are new to gardening, this squash is a great starting point for you because it is easy to grow. The flavor of this squash is popularly used in various recipes. It can be paired with other items, or eaten alone. Continue reading for information on how to grow your own butternut squashes right from the comfort of your own home. The butternut squash needs heat and space to flourish. You should plant the seed on hills that are four to six feet in distance. The seeds should be dropped in at ½ to one inch inside the soil. You can grow the squash in separate pots as well. You’ll need to add peat and place the plants inside the ground after the frost. This squash is sensitive to cold. If you start out planting it in the garden, the cold must have come and gone. Water the squash regularly when you first plant the squash. Do this at intervals of every 3 days until they germinate. Do not over water. Butternut squash is better when the soil is not saturated with water. Feed the butternut squash plants. This kind of Squash does extremely well in soil that is fertilized and rich. Some professionals suggest that you side dress the fertilizer and then go one to fertilize the ground on regular intervals. When you notice the squash plants are 4 inches, it is time to thin the hills. Reduce the number of plants to 3 plants on every hill. The squash will need to the room to stretch because they do 8 to 10 inches long. Squash is subject to fungi and insect infestation. There are various products on the market. Some of them are organic and some are not. They are designed to help reduce any damage to the squash. Insecticides may help but apply them after the sun is down. This allows the pollination to still occur. When the time comes, harvest your butternut squash. The Butternut squash is ripe when the outside rind is hard and there is two inches of stem. If you harvest them before the time is right, they won’t have as much flavor as they could. If the stem is cut short before it’s time, it will not last long. Make sure it is harvested before the Fall. The cold will kill the plant and you will lose the fruit. Butternut squash will flourish in about seven to fourteen days. Harvest time is about 90 days.